Founder of the Urban Music Awards, Jordan Kensington, has launched the "Stamp Out Violence" campaign following the stabbings which took place at the UMAs early this week. Along with MP Simon Wooley, George Galloway and artists DJ Luck, MC Neat and Q several other artists will be attending the filming and launch of the "Stamp Out Violence" campaign on 21st November 2008. Kensington said: "My sincere apologies go out to the victims of such an insensitive crime and the guests who were having such a brilliant time before the incident took place. I want to re-assure all the UMA fans and supporters that our organisation is about promotion success and achievement. We strongly stand against violence, and are appalled that this incident occurred." "Although the incident was negative, we at the UMA want to take this opportunity to bring to light some solutions and opportunities against a long standing problem facing our community." What was meant to be a night of celebration on Saturday 16th November, for British artists and musicians, turned into chaos and mayhem at the Urban Music Awards. 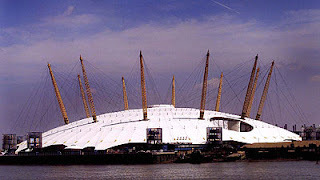 Click here to see the video clips from London Today http://www.itvlocal.com/london/news/?void=258804 The music awards show, held at Indigo 02 in Greenwich, came to an abrupt end after one guest was seriously injured and two others hurt. Police shut down the 6th Annual Urban Music Award show keeping up to 300 people inside the venue until the early hours of the morning. 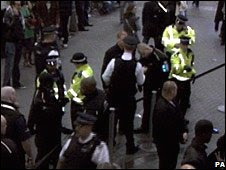 The "Stamp Out Violence campaign will be launched on 21st November 2008 by The Metropolitan Police has confirmed that one man has been arrested in connection with this incident. If you would like to attend the Stamp Out Violence campaign visit http://www.urbanmusicawards.net/index.php for more details.